Jolin attended MTV Global Chinese Music Awards in Shenzhen (China) last Thursday! She won 3 awards: “Top 10 Songs” for PLAY我呸 PLAY, “Most Popular Female Singer” and finally “Global Chinese Artist”. Jolin also performed 大藝術家 The Great Artist, 迷幻 Fantasy, 美人計 Honey Trap, and PLAY我呸 PLAY (TV version will air on August 4th). Jolin revealed during a backtage interview that she had 8 songs out of 10 for the new album, but added that she was stuck right now because of lyrics. She asked Ashin from Mayday to write lyrics for her, but he hasn’t handed any work yet. Two days later, Jolin performed once again in Shenzhen at 2017爱奇艺”尖叫之夜”唱会 Love & Wonderful Art “Screaming Night”. 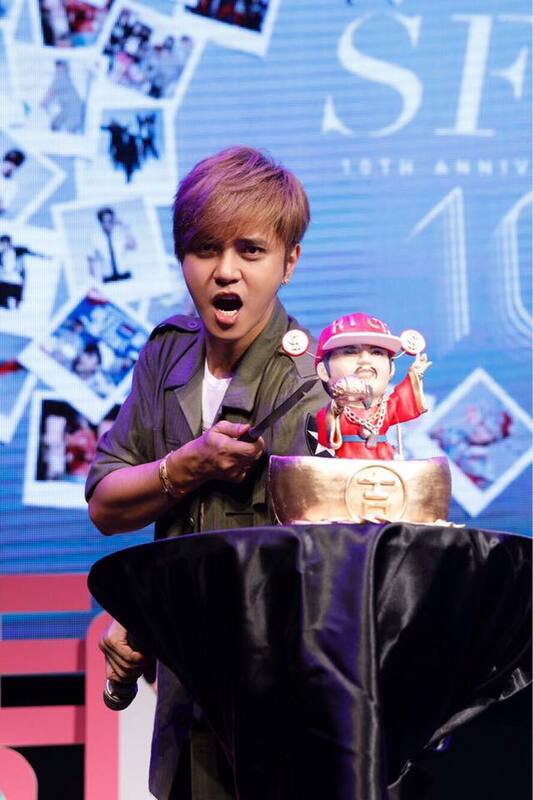 On July 23rd Jolin offered Show Luo a cake for the 10th anniversary of his Singaporean Fan Club SFC (Show Fans Club) and his birthday (July 30th)! She also took the time to shoot a video aired during the event. 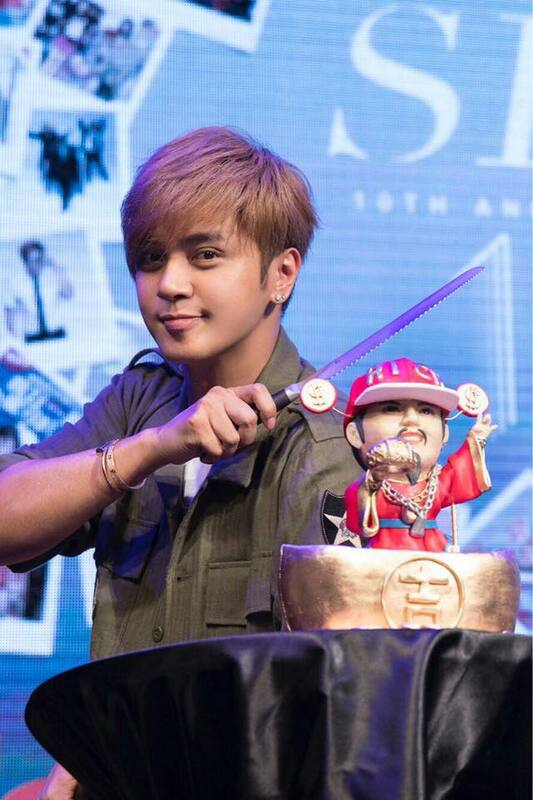 Next postWatch Jolin’s performances in Jiangdu and Changsha + info about the new album!